SpeechMasking attends various trade shows and events throughout the year at locations across the country. If attending any of the trade shows or events listed below, please visit our booth to learn more about our products and company. Please contact us to learn about our upcoming trade show and events schedule. SpeechMasking will be exhibiting at the ASIS International trade show. Join SpeechMasking at the 2018 NATIA conference in Phoenix, AZ. Be sure to stop by our booth to visit our newest product releases. NATIA is the premiere trade show and conference that specializes in high-tech electronic surveillance, intelligence and countermeasures products available to U.S. law enforcement and government agencies. SpeechMasking will be exhibiting at the 2017 NATIA conference. NATIA is the premiere trade show and conference that specializes in high-tech electronic surveillance, intelligence and countermeasures products available to U.S. law enforcement and government agencies. SpeechMasking will be exhibiting at the ASIS International trade show at Booth 1166. We will demonstrate our new SpeechMask® product line as well as related industry products. SpeechMasking will be exhibiting at the 2016 NATIA conference. 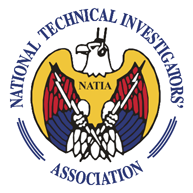 NATIA is the premiere trade show and conference that specializes in high-tech electronic surveillance, intelligence and countermeasures products available to U.S. law enforcement and government agencies.